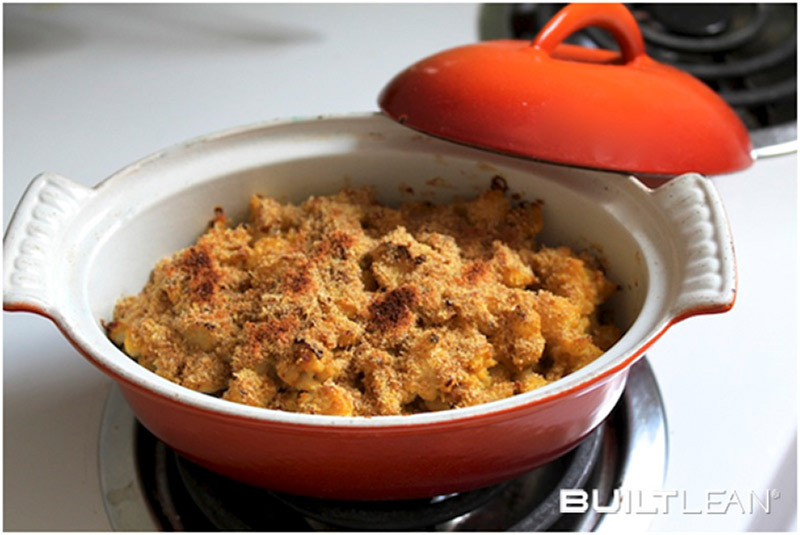 Have you ever craved a heartwarming bowl of classic macaroni and cheese? 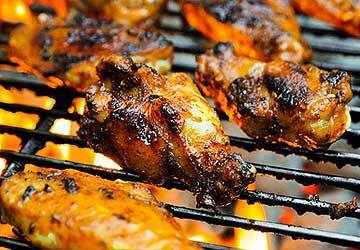 Studies actually show that depriving yourself of a particular food typically increases the likelihood of craving that particular food1. Instead of focusing on a restrictive diet, why not introduce food choices that are equally as delicious and will support your healthy lifestyle? 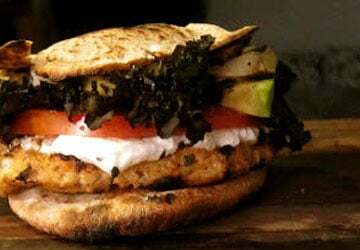 We have come up with a healthy alternative to this high-fat and starchy comfort food that you can feel good about eating. In our vegan, gluten-free rendition, we have replaced the cheese with a zesty dairy-free ‘cheese’ sauce, and the starchy macaroni with a low-carb vegetable, cauliflower. 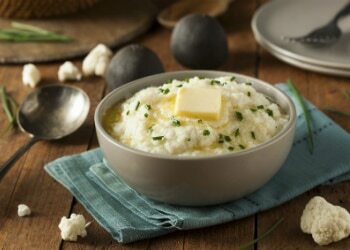 One serving of cooked cauliflower has just 14 calories and less than 3 grams of carbohydrate2. 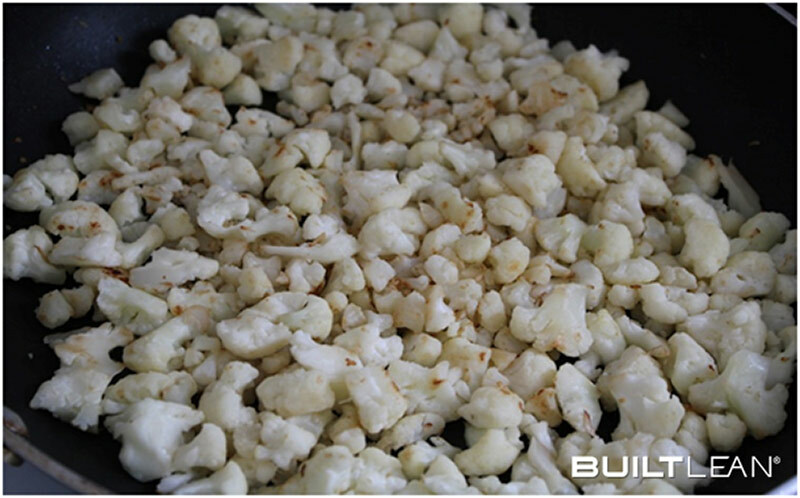 When cauliflower is cooked it has a mild, slightly sweet and nutty flavor that can resemble an earthy rice or pasta. 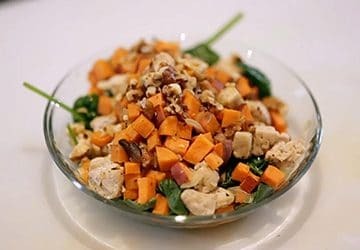 If you have healthy alternatives for your familiar and not-so-healthy comfort foods, maintaining a healthy and balanced diet can more feasible, and even enjoyable. 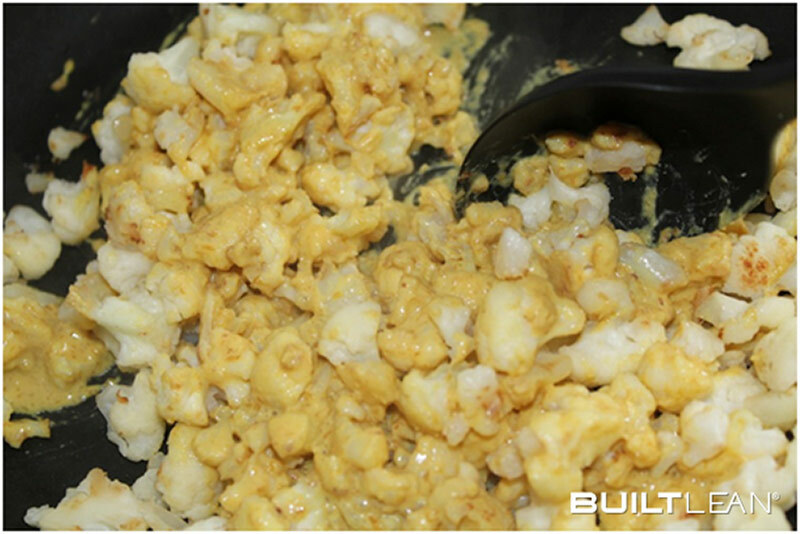 Try satisfying your next craving with this Healthy ‘Mac n Cheese’ recipe. 1. 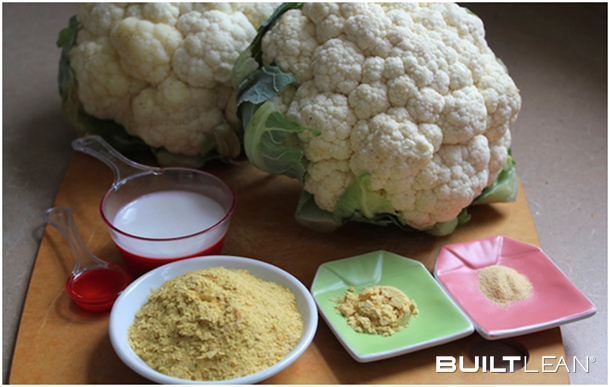 In a large bowl, break up the cauliflower into small bits. 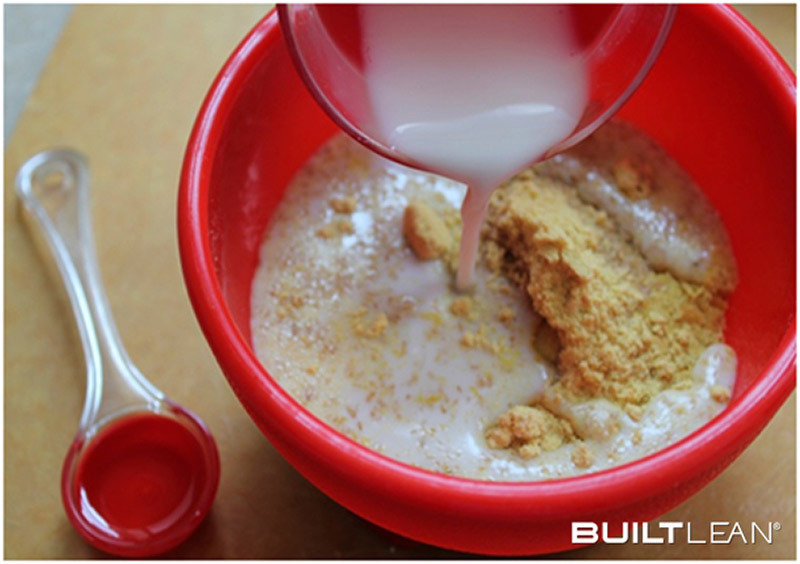 You can even use a food processor if you prefer an even finer chop. 2. 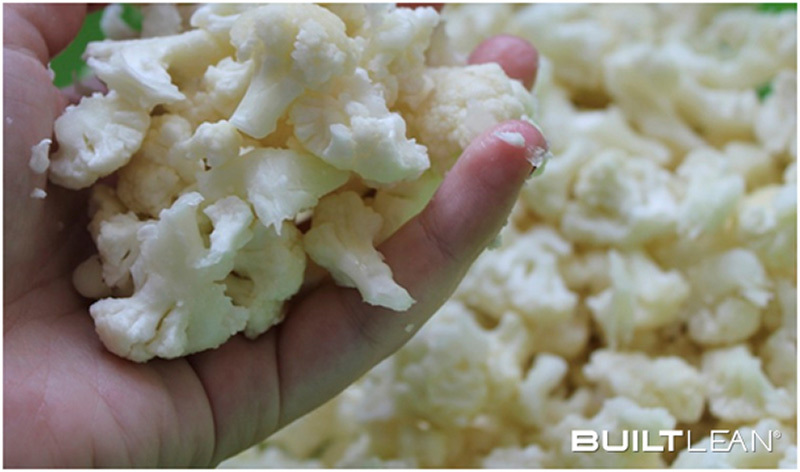 In a skillet over medium heat, cook the cauliflower bits until they soften up and are semi-translucent. 3. 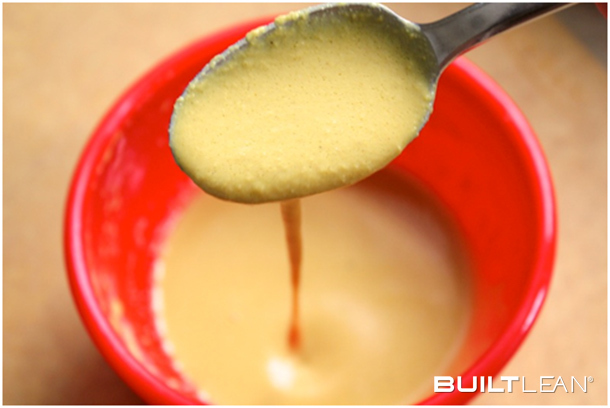 Mix the ingredients for your cheese sauce together in a small bowl. If your sauce appears to be too thick, feel free to add another splash of almond milk to thin it out. 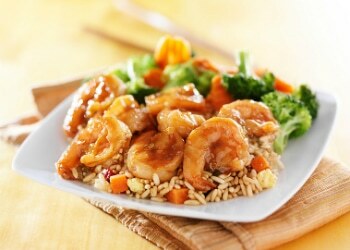 If you want you can even add a splash of coconut milk for a creamy addition. 4. 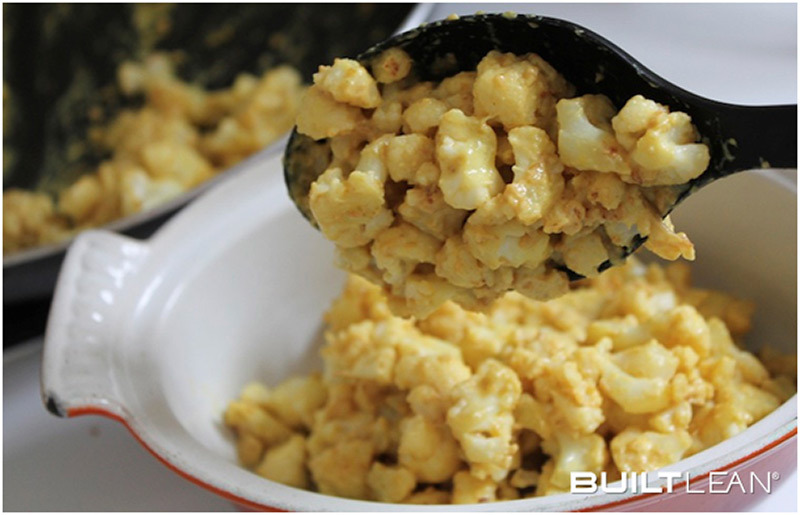 Pour the cheese sauce over the cauliflower bits and mix it together evenly. 5. 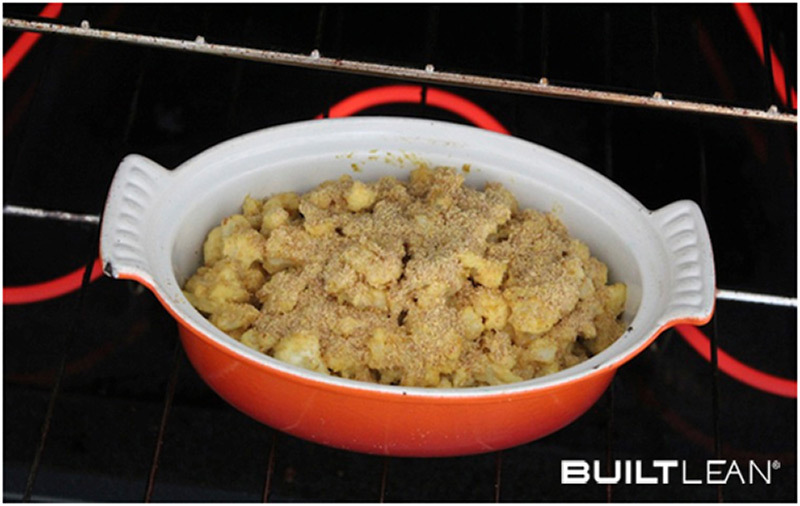 Pour your cauliflower “mac n cheese” into a baking dish or ramekin. 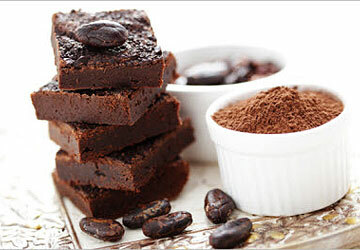 You can even use a muffin tin to make individual servings. 6. Sprinkle the ground flaxseed and almond meal on top, and cook in the oven at 400? F for about 15 minutes, or until golden brown. If you want an extra crispy crust, put it under the boiler for a few minutes. 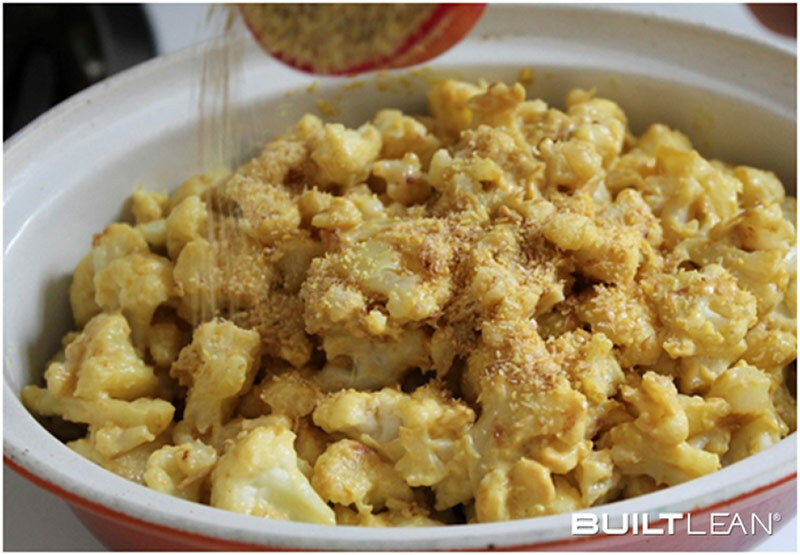 Hope you enjoy this new version of healthy mac and cheese! Let us know how it goes if you try it out. Thanks for the update and yes that’s massively impressive. I use cauliflower and almond milk processed to liquid as the “cream” in my cream of vegetable soup. When you share recipes, please use, or insert, a format for printing that would only print the receipe and not all the pictures and advertisements along the side. This mac and cheese receipe I printed was 8 pages and could have been one. Using the print button on the left bar (floating bar), you can delete items that you don’t want to print. Problem should be solved.